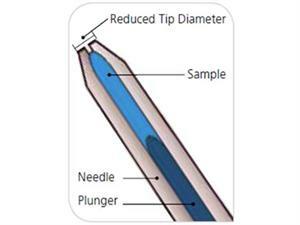 - Plunger extends into the needle tip. - Sample is contained only in the needle, i.e. no glass contact. 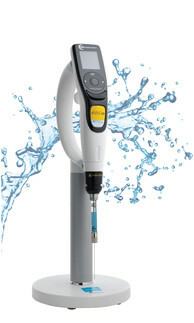 - Recommended for use when sample volume is less than 1000nL (1µL). The cone shaped needle tip is specially developed to withstand multi injection demands and improve septum lifetime when used with an autosampler. The cone design effectively “parts” the septum during piercing instead of cutting it, as would a bevel needle. Cone tip needles are also known as point style AS for autosampler. *Kit is supplied with a matched plunger and needle, both must be replaced together.